Rocambole: the name of the central character of a serialised French novel by Vicomte Pierre Alexis de Ponson du Terrail, Les Drames de Paris, published in 1857-58. Ponson du Terrail wanted to cash in on Eugène Sue’s highly successful ten-volume Les Mystères de Paris, written 15 years earlier. In Les Drames de Paris, Rocambole initially acts as the accomplice of a criminal with the improbable name of ‘Sir Williams’, and resorts to identity theft, robbery, blackmail and murder in order to achieve his ends. But after a spell in a penal colony, he decides to redeem himself by adopting the profile of a ‘righter of wrongs’. Although he remains an impostor, he uses his skills to enable, for instance, an orphan girl to recover her stolen inheritance. His adventurous life throughout the series is decidedly rocambolesque, a French term that has no precise equivalent in English, but can be variously translated as action-packed, outlandish, unlikely, implausible, incredible or unorthodox. It is also occasionally used as a loanword in English. 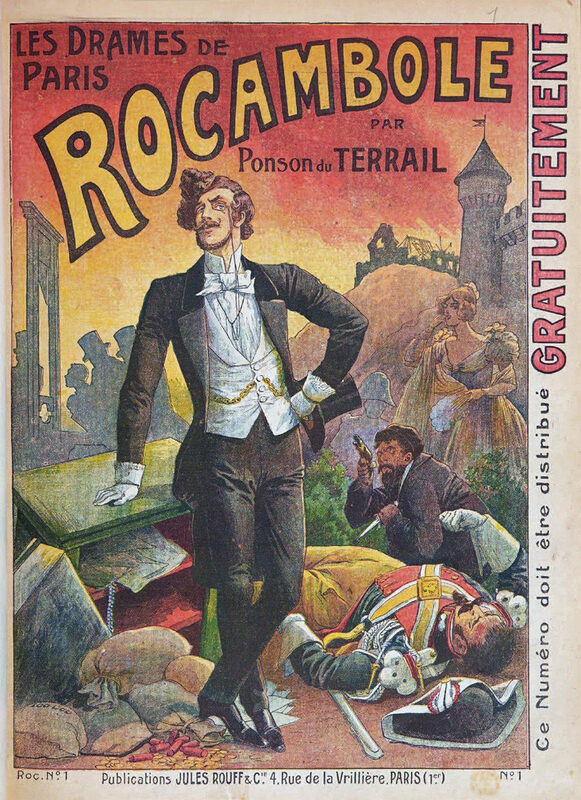 Images of the swashbuckling Rocambole of the original serialised novel frequently featured on the covers of each instalment of Les Drames de Paris. And it was only natural that he should eventually appear in a string of adventure movies stretching from the silent cinema (1914) to television films (1977). The word rocambole is also applied – ‘erratically’, as The Oxford Companion to Food delicately puts it – to several members of the onion family, including Allium sativum (garlic). 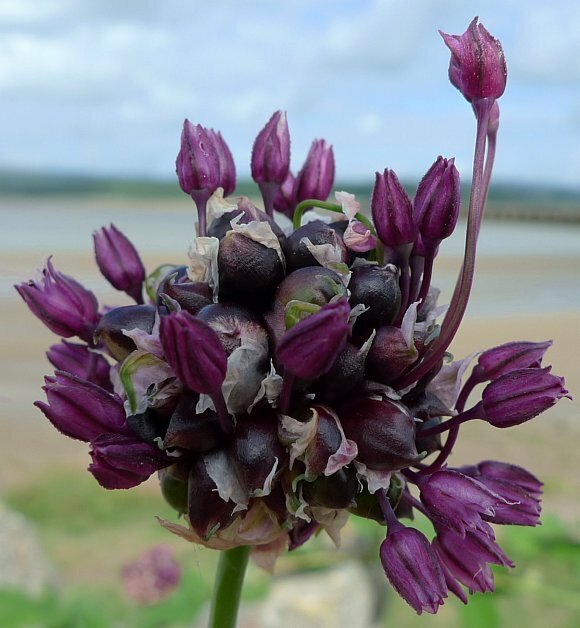 But it chiefly applies to a very strange variety of onion, or sand leek, Allium scorodoprasum, L., whose bulbils grow in a cluster on the top of its stem. They have a mild taste of garlic. So what possessed Ponson du Terrail to name his character after a variety of onion? There seems to be no totally convincing explanation. Some argue that the author saw the word as suggesting a certain piquant attraction when applied to a fictional character. But the mild-tasting sand leek is hardly piquant. As early as 1867 the French journalist and lexicographer Alfred Delvau coined the word rocambolade, meaning ‘a literary farce along the lines of Ponson du Terrail’s Exploits de Rocambole.’ As for the adjective rocambolesque, it has a certain euphonious quality. In other words, it trips off the tongue – just as the term ‘humoresque’ was frequently applied to short romantic compositions in the 19th century. But we shall never know the truth for sure. No doubt Ponson du Terrail would have made an excellent advertising copywriter. Site extraordinaire ! A conseiller de 7 @ 120 ans !